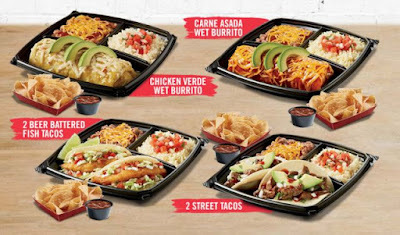 Del Taco unveils new Platos--a new plated meal option that pairs a choice from a selection of entrees with a number of sides. In case you're wondering, plato is Spanish for "plate." Besides the entree choice, each Plato includes beans, rice, and chips & salsa. Prices on the new meals range from $6.49 to $7.49 (price and participation may vary).